The class leading cab provides day long comfort and ensures operator productivity is maintained. 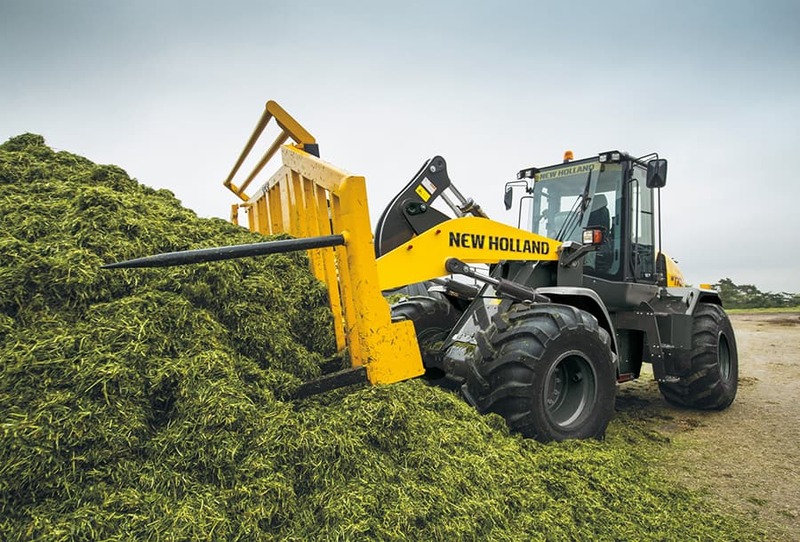 Excellent all round visibility, high comfort seat and ergonomic multifunction joystick control combined with high performance ventilation system and and abundance of programmable loader functions guarantee fast cycle times. On the W110C and W130C, a 4-speed automatic Powershift transmission comes as standard and is switchable to use in manual mode for total control. 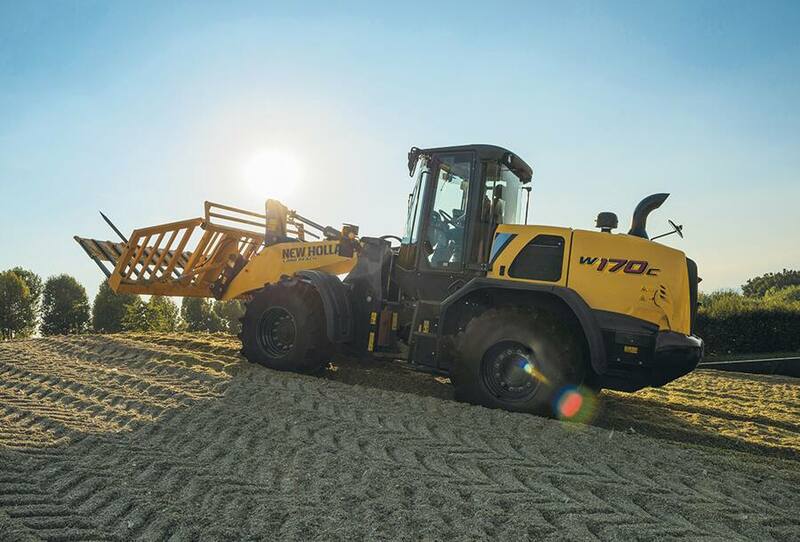 On the larger W170C & W190C models there is also a 5-speed Powershift with Ecoshift. Ecoshift automatically locks the torque converter at speeds above 8kph, all the way to max road speed. 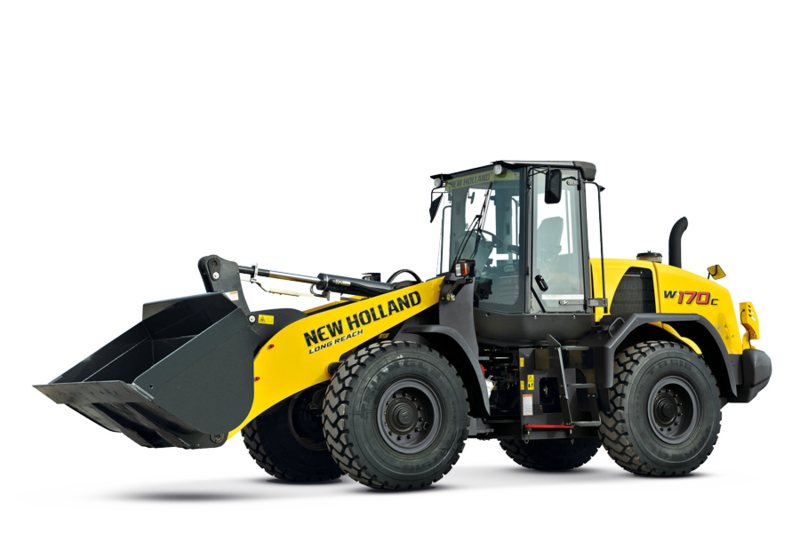 The C Series range of wheels loaders are powered by 4.5L and 6.7L NEF engines developed in partnership with FPT Industrial. 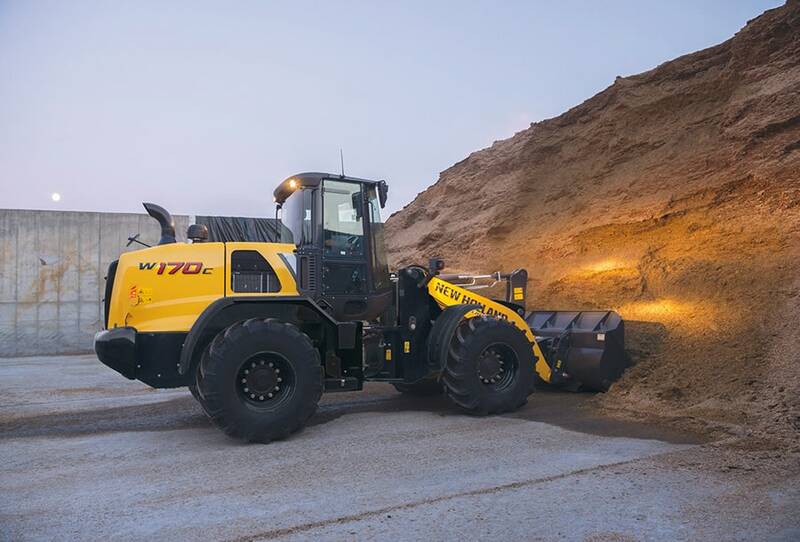 New Holland has engineered the C Series wheel loader with the engine mounted far behind the rear axle, optimizing the weight balance with no need to add extra “dead” weight. The engine bay hosts the Smart Box cooling system with a radiator at each side and the reversible fan keeping them always clean. The front auto locking differential option provides 100% lock when required and the rear open differential ensures all the torque goes to where it’s needed. The heavy duty rear axles, and rear axle oscillation of 24 degrees allows the C Series to cope with undulating terrain while maintaining traction and stability. 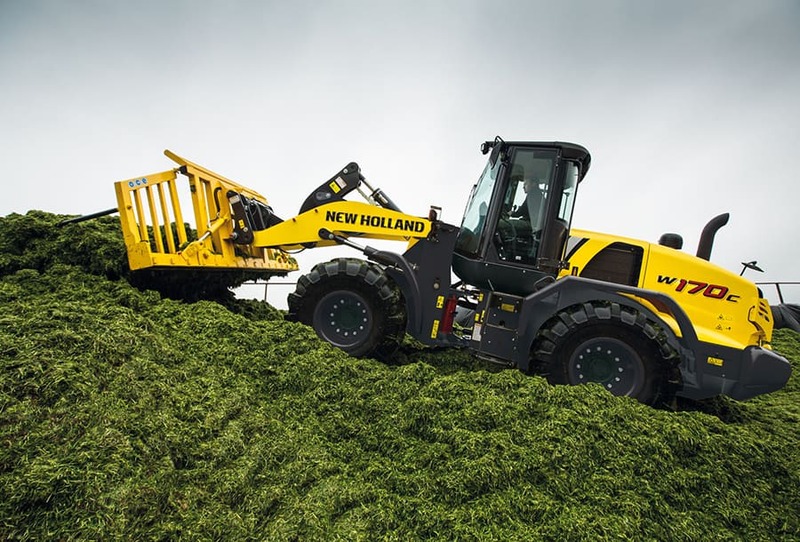 C Series wheel loaders offer Long Reach or Z-Bar configuration. Long reach models offer a 0.4m increase in hinge pin height at maximum reach, ideal for loading trucks and high sided hoppers. These models are also up to 400kg heavier, so are well suited to forage ensiling.